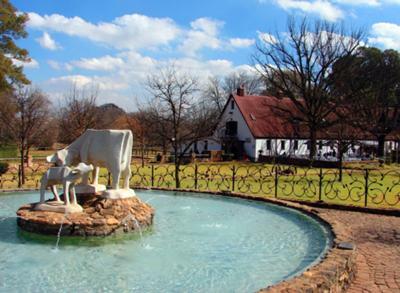 The Irene Dairy Farm, established in 1895, is a picturesque gem that nestles between the sprawling cities of Pretoria and Johannesburg. A visit to this old-style, storybook dairy farm is a must. Across the farm yard from the Dairy Shop, visitors will find The Barn Restaurant, so-called because the restaurant is in a renovated version of one of the original farm barns. The Barn’s breakfast and lunch menu is freshly prepared and complemented by the bountiful breakfast and brunch buffets served here every Saturday and Sunday.